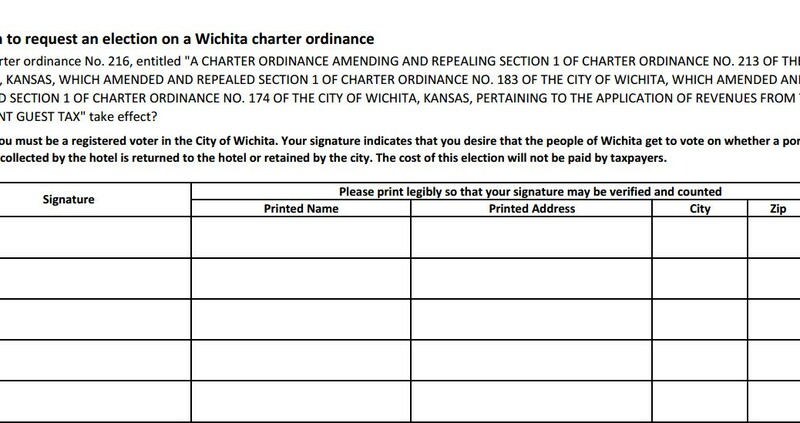 Congratulations to the people of Wichita on successful petition efforts. Our effort to enable a vote on a proposed STAR bond funding plan to bail out the owner of a failed racetrack here in Topeka has been thwarted by legal action taken against the organizer of the petition. The district court and court of appeals have ruled in favor of the petition effort in five of six contested areas but not in one important area. As a result, the rights of the 4,3000 people that signed the petition with a sufficient number certified to force a vote have been thwarted. Citizens considering petition efforts need to consult a lawyer before embarking on a petition effort of any kind. An important case in the area related to protest petitions is Prairie Village v Morrison. The ruling in this case establishes some very onerous obligations on the format of a protest petition. Unfortunately, this opinion was issued as an unpublished opinion making it difficult to obtain. The various rulings in the case of the City of Topeka and Jayhawk Racing v Christopher Imming decided in late 2014 and 2015 also include important rulings on initiative petitions. A final appeal is being considered for review by the Kansas Supreme Court as of 4/28/2015. If the court decides not to hear the case then cities and counties will have a court approved blueprint for thwarting citizen petition efforts of all kinds in the State of Kansas.